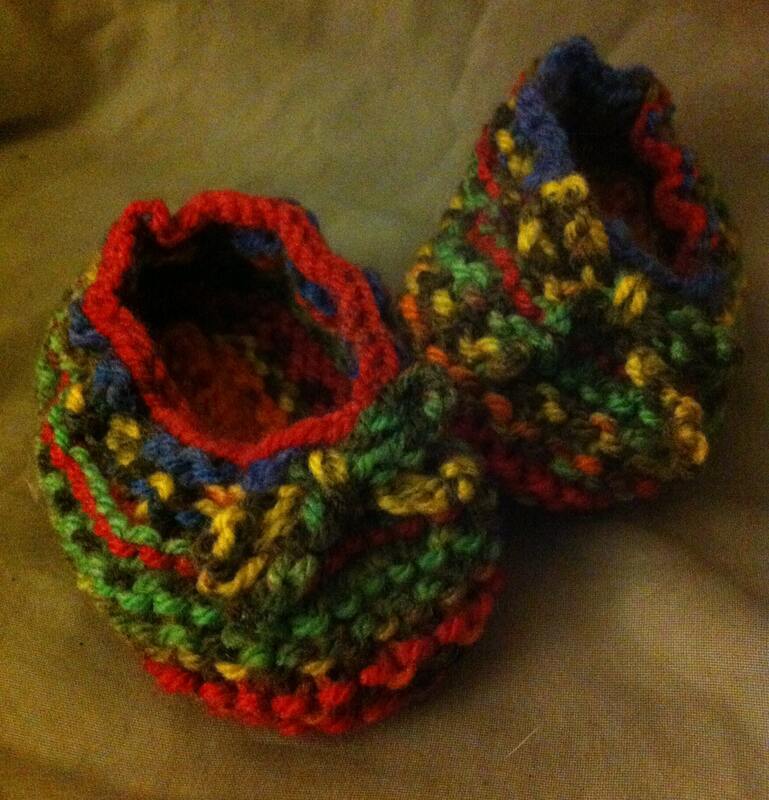 Pretty little multicoloured baby booties perfect for a gift for a newborn. Hand knitted with a little bow. Four designs let us know which colour you would like.